Q: How long after I register do I begin accruing toward my rebate? A: When you enroll in The Home Depot Pro Rewards Program and register at least one tender (credit card, checking account, etc. ), your rebate will begin to accrue immediately and will earn the rebate for purchases made from the tender registration forward. There is no “look back” to the beginning of the Rewards Period. Your official registration date is the date you register your first payment tender. A payment tender is any payment method registered like a credit card, checking account, etc. Your tenders must include the agreement code of “NREIA” on each card or account. Q: What purchases qualify toward the 2% rebate? A: All Home Depot pre-tax purchases made following account activation. 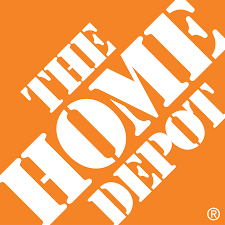 Q: Do I qualify for rebates if I already receive a discount at Home Depot? A: YES! The 2% rebate program is in addition to any volume discount programs you may have. Q: When are the rebates issued? A: The 2% National REIA rebate program is a semi-annual award. There is no maximum to the rebate you can earn. These cards never expire nor do they ever decrease in value. Q: Is there a minimum or maximum? A: Enrolled members must spend a minimum of $5,000.00 each year (Jan-Dec) to be eligible. The minimum award paid by Home Depot via National REIA is $100 (based on a minimum of a $5,000.00 in net purchases). Q: Will I receive a check or a gift card? A: All rebates issued that total up to $1000 will be paid by a Home Depot gift card. You can also earn volume pricing based on your Home Depot Pro Xtra 2.0 account in addition to Home Depot gas points to qualify for FREE gas if you have a Home Depot credit card.